No matter where life takes you, you never forget your roots. Back to where it all began – Ian Woosnam returns to Llanymynech Golf Club, where a plaque has been unveiled in his honour. And that is certainly true of Oswestry-born Ian Woosnam, despite an outstanding golfing career which took him all over the world. The 1991 Masters champion was given the warmest of welcomes as he returned to Llanymynech Golf Club for the unveiling of a plaque in his honour. It’s the course where it all began for the multiple Ryder Cup winner who grew up on his father’s farm in St Martin’s, Shropshire. So emotional was Woosnam when speaking to old friends, he struggled to hold back the tears. And that’s because life has changed dramatically for the 60-year-old who grew up playing the course with only one club. 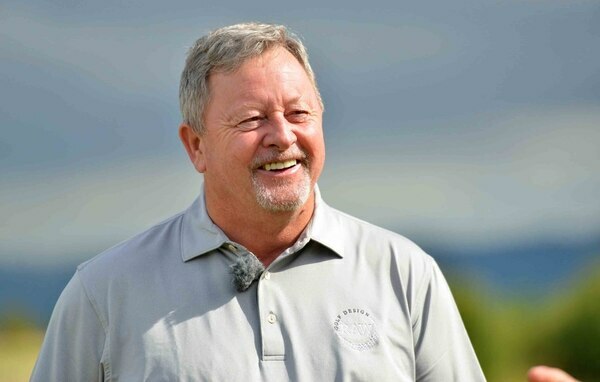 “To come back and stand on the first tee and see a lot of people I haven’t seen for a long time is overwhelming,” Woosnam said at the unveiling of his plaque. “It is such a great honour and something very special. It is amazing here and it never changes. Woosnam was introduced to golf at Llanymynech by his father and quickly took to the sport. “My dad fetched the family up when I was seven years old and I started playing with just one club,” he said. “It was shafted, it was like a wood and I used to knock it around with that. “Then I got another shafted club that was like a five-iron before my dad bought me a set of clubs. “Blue Flash Juniors was my first set and I went on from there. Even as a youngster, Woosnam’s golfing journey had an international flavour. On the fourth hole at Llanymynech he would tee off in Wales and hole out in England. And the following years saw him take in every major course on the planet, and spend 50 weeks as world number one. It was back in 1976 when Woosie – as he is affectionately known – turned professional. But he could never imagine just how different the destination would be to his starting point. Standing at just five feet, four inches tall, what Woosnam lacked in height he made up for in power. The golfer attributes his big hitting to the days when he had to lift bales of hay on the farm. 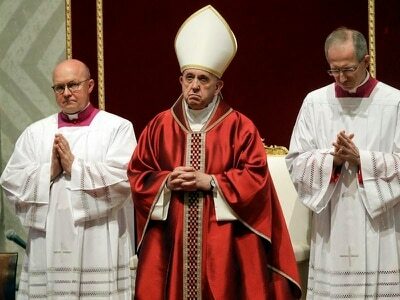 But when he first got on the European Tour things were far from plain sailing. Woosnam travelled from tournament to tournament, living out of his camper van. And with money tight, he often lived on a tin of baked beans. But he looks back on those days with fondness. “It was how the Tour was in those days,” he said. 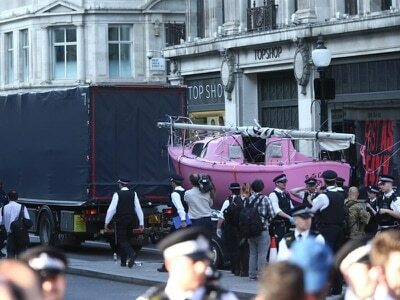 “My dad bought me a Volkswagen caravanette. And it was a time when the Tour would go to Spain, Portugal and then France so you could actually get around. “Now it’s all by air, one minute you are in Portugal and the next minute you are in Dubai. 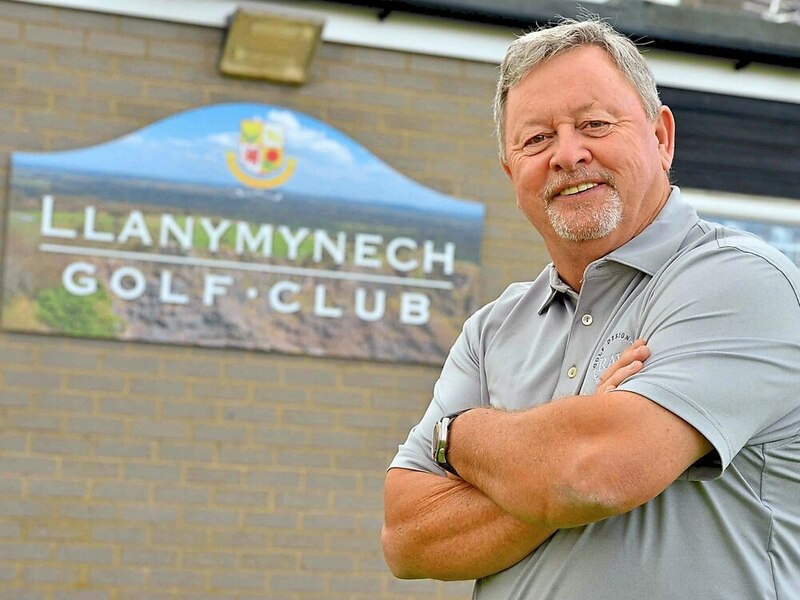 Ian Woosnam returns to Llanymynech Golf Club, where a plaque has been unveiled in his honour. “It’s impossible to do it now, but that’s the way it was in those days. The Tour wasn’t that long, it was about four months long. But I did live off baked beans and bacon. A guy called Joe Higgins used to travel around with me. I would drive, he couldn’t drive, so I would drive and he’d be cooking the baked beans on the passenger seat. You used to lift it up and the cooker was underneath it. Life started to become more luxurious for Woosnam, though, when he achieved his maiden Tour win in 1982 at the Swiss Open Championship. Incredibly, he now holds the record of having won more professional golf tournaments on the Tour than any other British male golfer. But the 1991 Masters title was undoubtedly the highlight of his career. “On the Tour, everyone always talks about the best player not to win a major – I was in that category,” Woosnam said. “I needed to win a major to get out of that. A couple of weeks before the Masters I won the New Orleans. “And the week of the Masters, on the Monday I became the world number one and I think that gave me a massive confidence boost. It made me believe I was the best player in the world and I told myself I should expect to win. So I went out and won. “If I was going to win a major, that is when I was going to do it. I did have that extra belief. But from 1987 to 1991 I was playing some incredible golf. As his friends and family will testify, Woosnam’s major success didn’t change him as a person – despite his achievements, he is not a man with an ego. But he did decide to change his swing after that success, something he regrets. “The Masters win didn’t change me,” Woosnam continued. “I still hang around with the same mates, success shouldn’t change you. There were a lot more responsibilities that came with it and a lot more I had to do with the press – if I’m honest, I didn’t really enjoy doing that. That’s where, after the Masters, I fell off a little bit. “You see a lot of guys do that. After winning, I actually tried to change my swing a little bit which was a massive mistake. “I don’t know why I did it. Nick Faldo was doing this and that, so I felt I needed to change my swing to maybe get even more majors. A second major may not have arrived, but Woosnam continued to shine in the Ryder Cup. He was part of the team in 1987 that beat the Americans on their own turf for the first time in history. And his glittering affinity with the cup saw him play in eight consecutive contests between 1983 and 1997. Then in 2006, he captained the European Ryder Cup team to a 18.5-9.5 victory over the Americans at the K Club in Ireland. “Winning the Ryder Cup as a player and as a captain is something else,” Woosnam continued. “As a player, it’s a wonderful competition to be a part of. “As captain, there is a lot of pressure. You are in a situation where you know if you lose, you are going to get criticised. “Fortunately at the K Club, I had a very strong side. Tom Lehman (American captain) tried to do everything he could to win. Woosnam now spends his time playing on the Champions Tour in America and on the European Seniors Tour. But like all golfing fans, he will be an intrigued spectator when this year’s Ryder Cup begins on September 28 at Le Golf National, in France. “It’s going to be incredible because we have got a lot of great, strong players at the moment but the Americans have as well,” Woosnam continued. “It’s going to be tight. And there should be some fantastic golf played. “I honestly think it’s too close to call because the standard of player is so high.